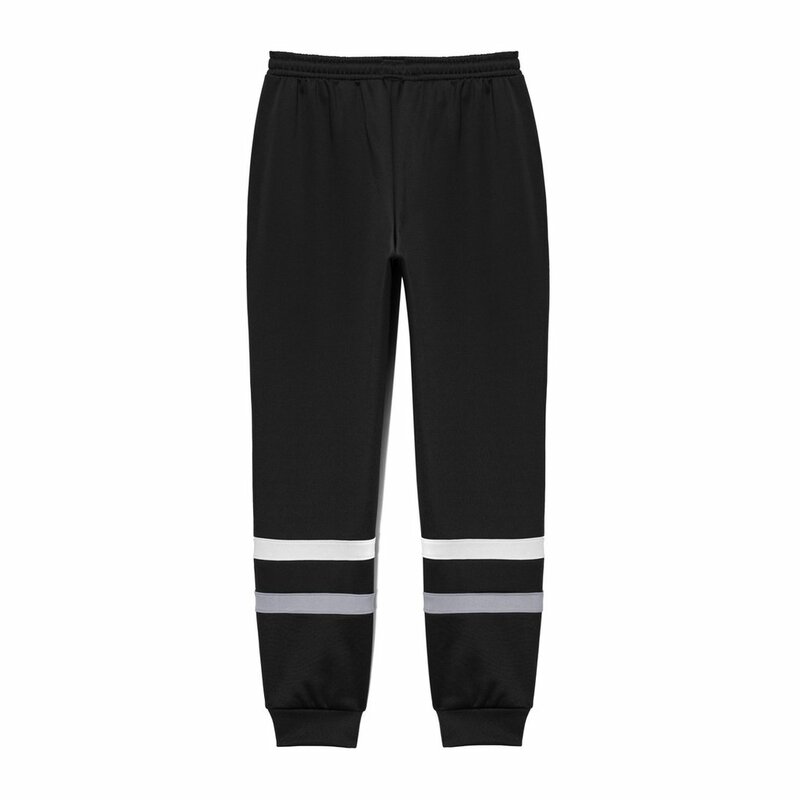 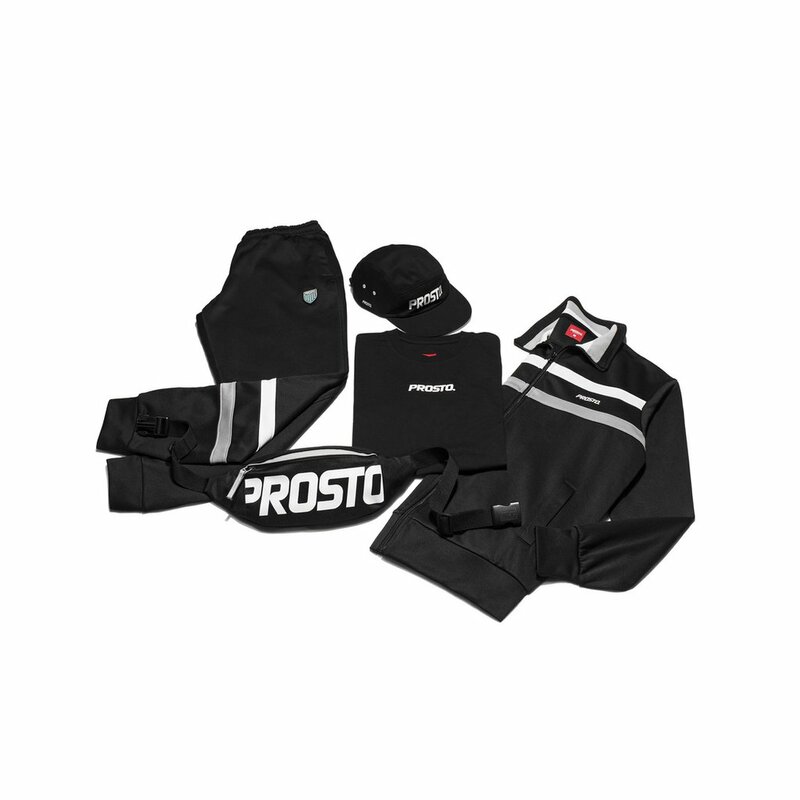 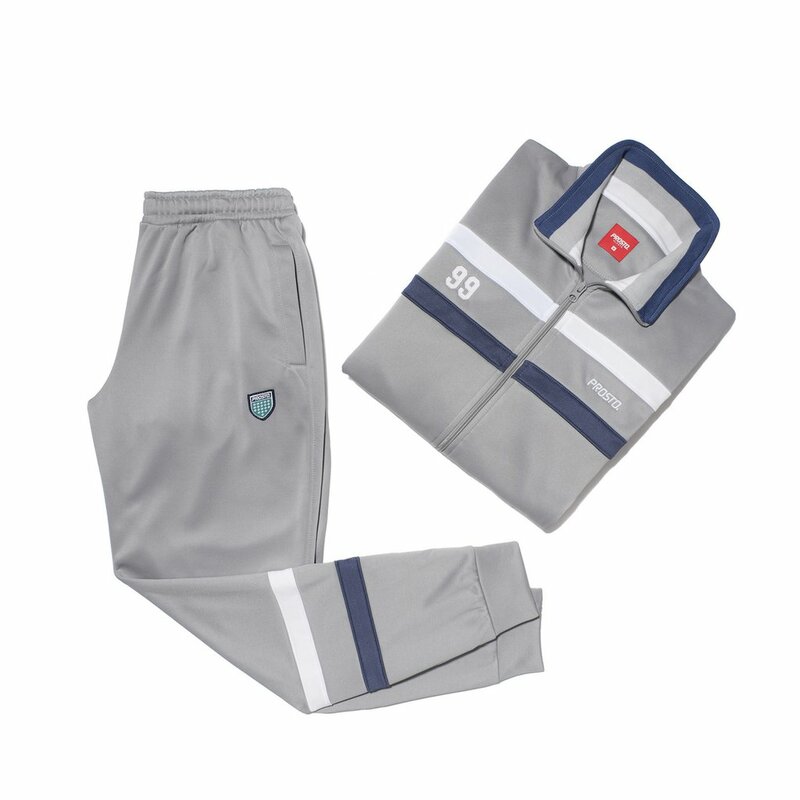 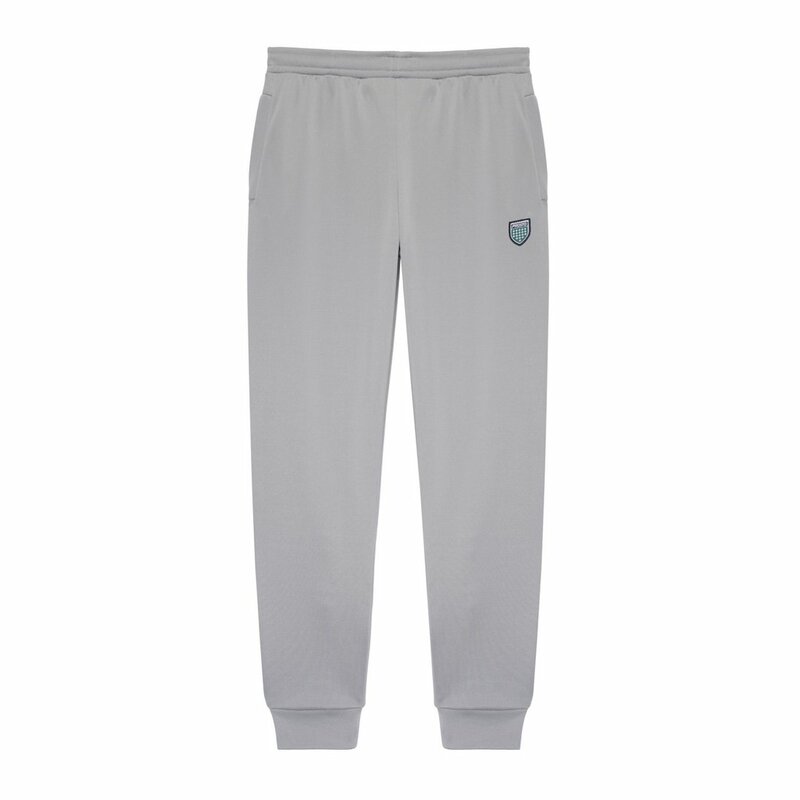 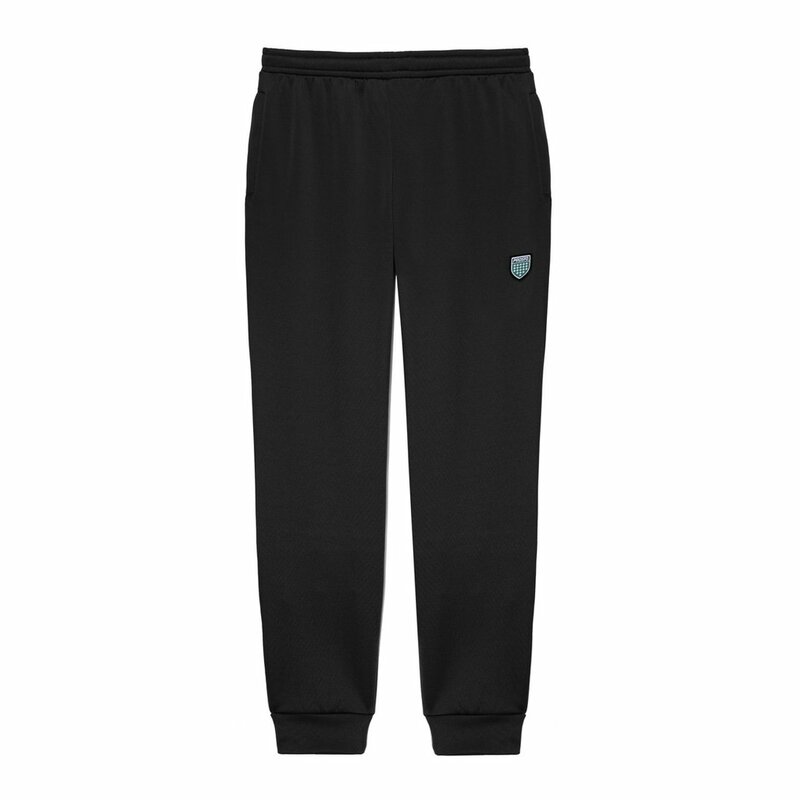 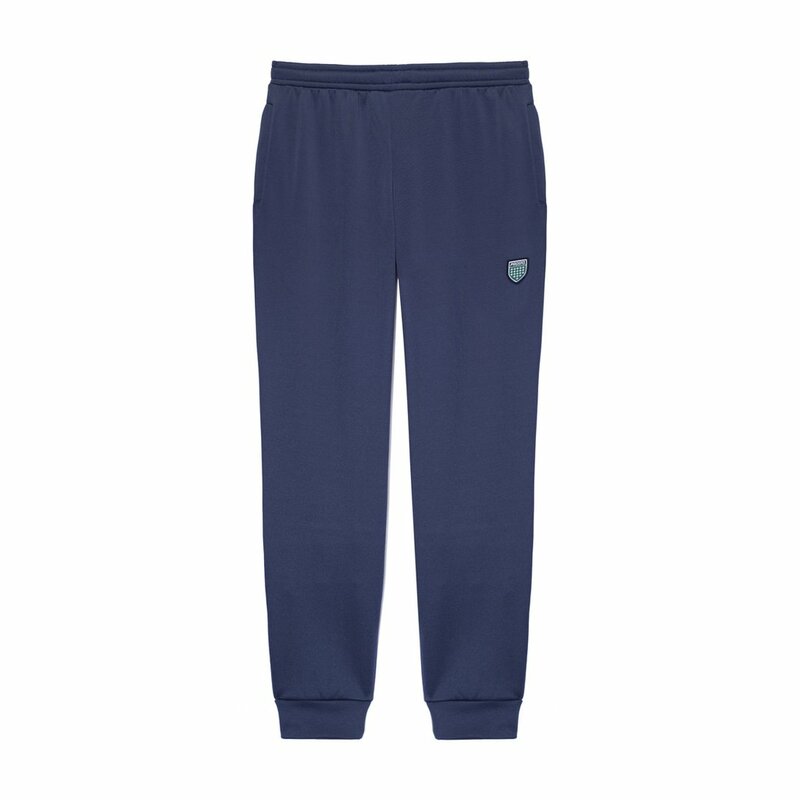 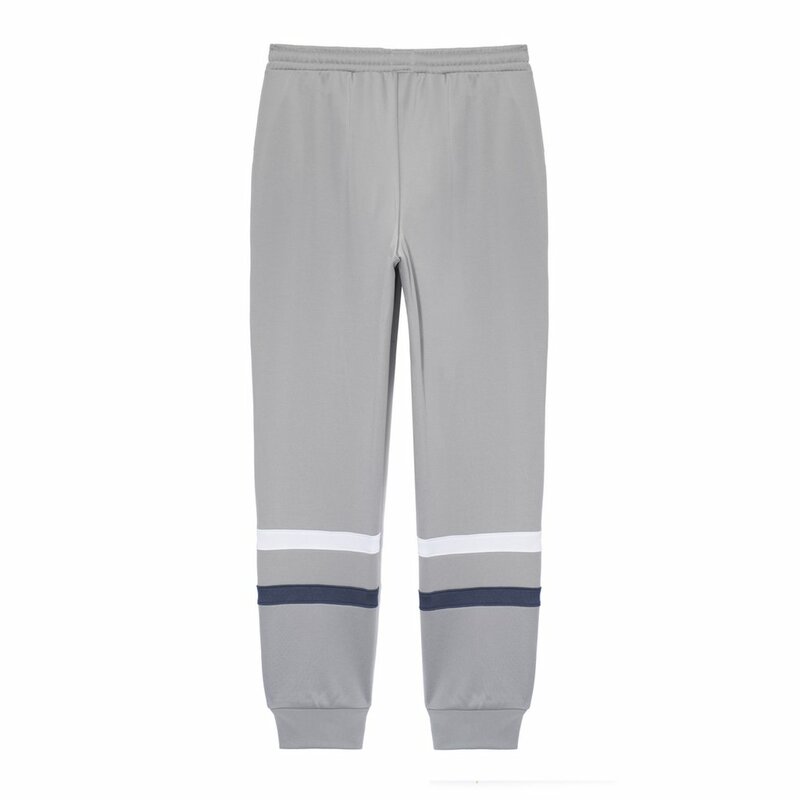 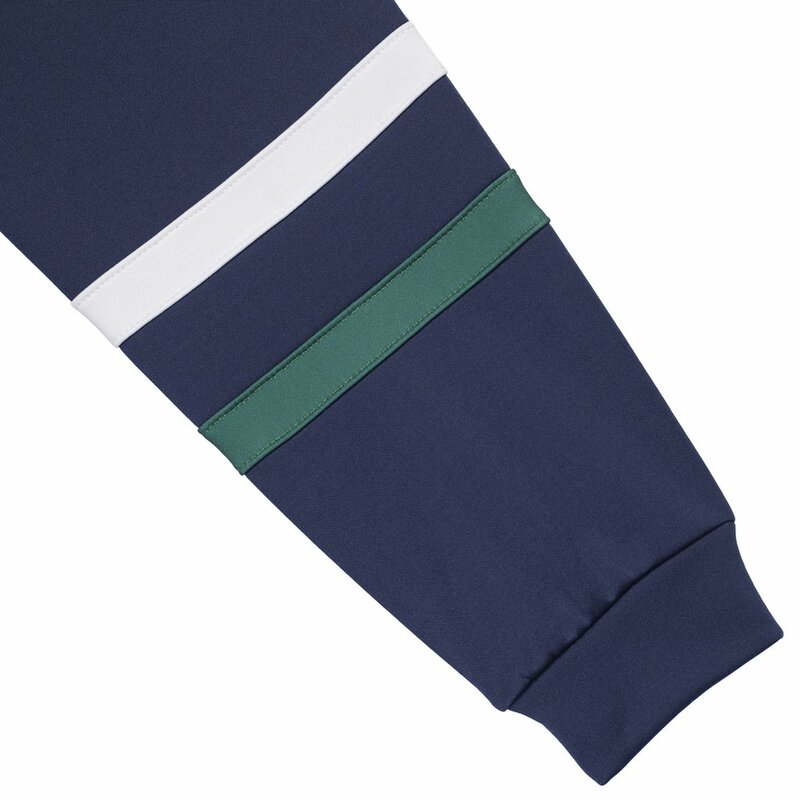 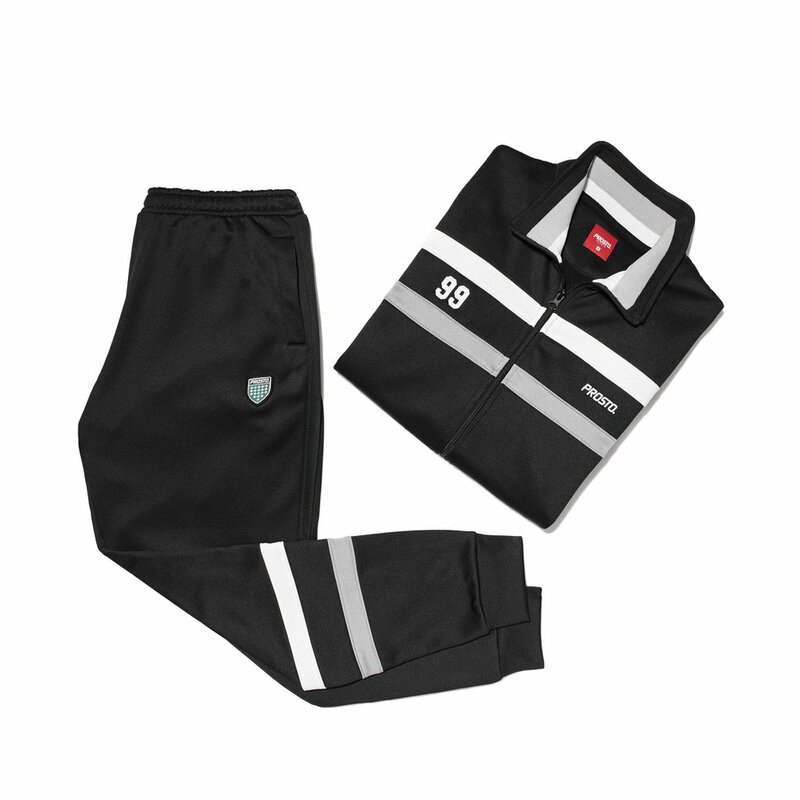 Men's football sweat pants featuring contrasting inserts under knees at the rear. 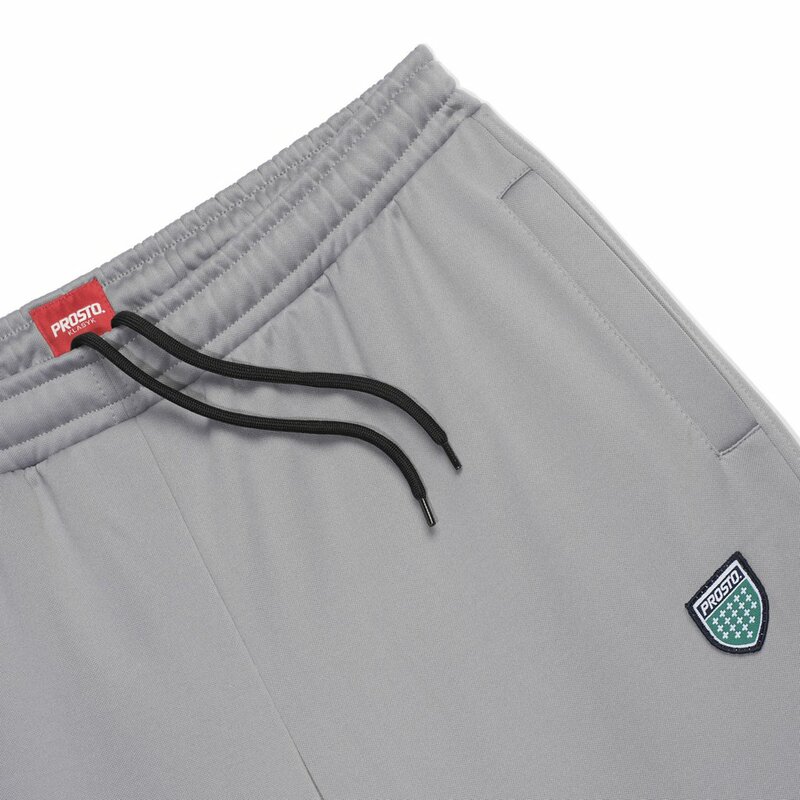 Side pockets with YKK zippers. 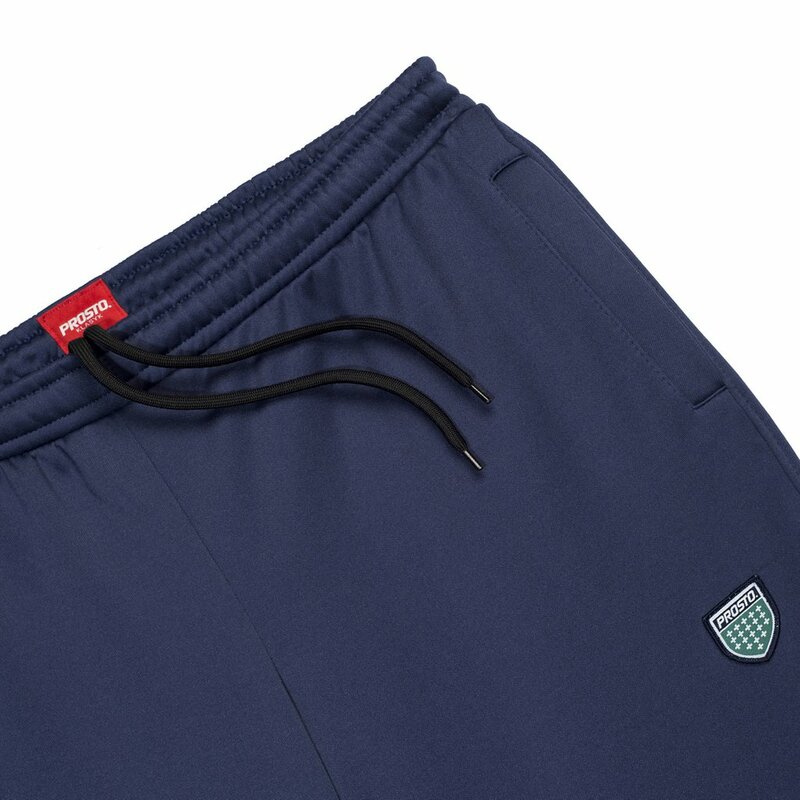 Elastic waist with polyester drawstrings. 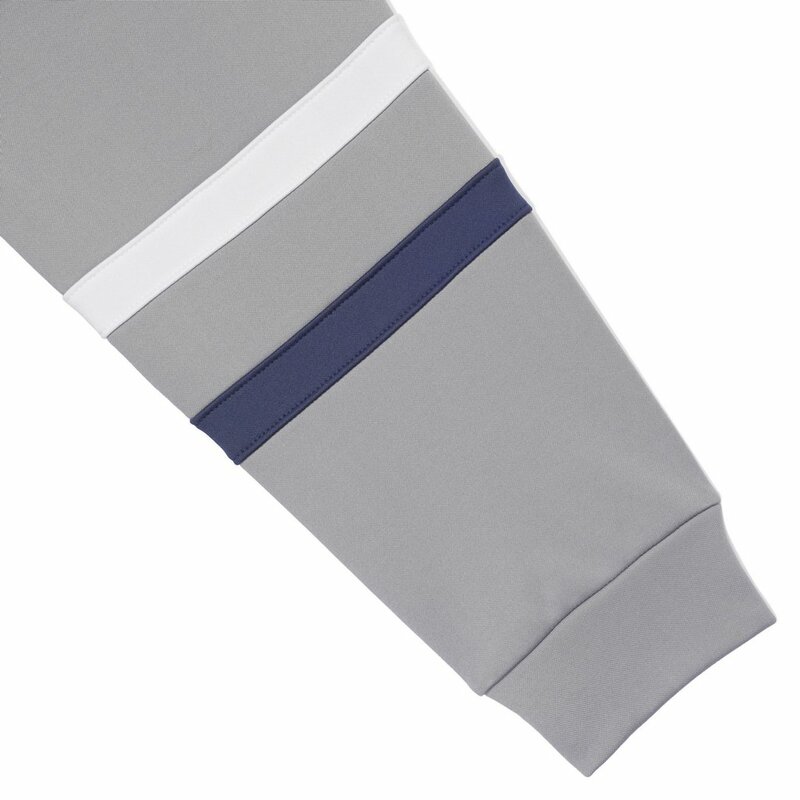 With shield-shaped applique under pocket. Made of comfy light polyester.